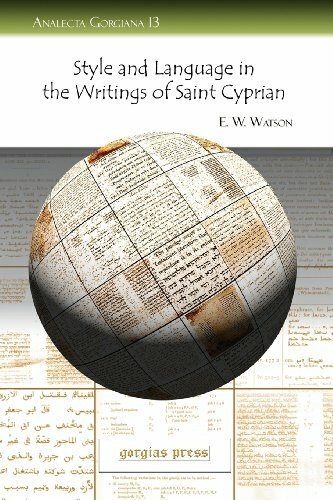 A thorough analysis of St. Cyprian's writing style and use of language, this study is invaluable for the student of the saint. Comparison with contemporary writers and careful attention to grammatical and linguistic elements mark this useful study of an important figure of early Christianity. If you have any questions about this product by Gorgias Pr Llc, contact us by completing and submitting the form below. If you are looking for a specif part number, please include it with your message.